Setting out to launch a new line is always a process. There are a lot of moving parts and often times the most challenging part is the design process. In the past when we have launched new lines the initial conversation is around developing a theme. What is the common idea, trend, color, and/ or flow? Then the creativity unleashes and a line of accessories, lighting, etc is born within this theme. Our Winter 2018 Line however, was conceived through a different ideal. 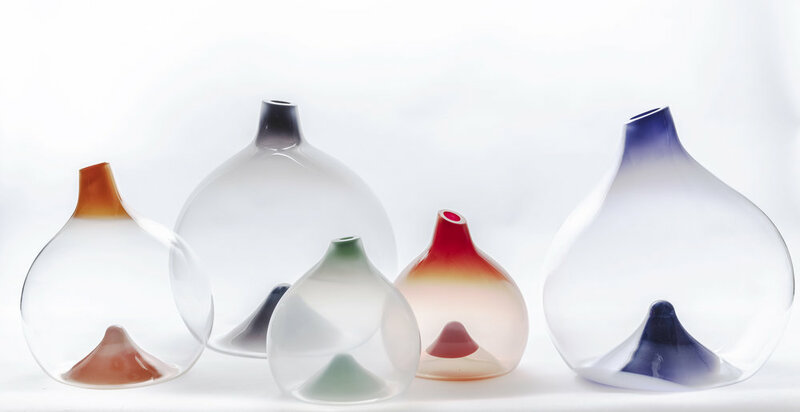 Conceptualized through our love of glass and all its alluring and magical qualities, the Winter 2018 Line offers an exquisite selection of hand blown pieces that transform artistic form and process into function. This line of accessories, lighting, and barware breaks the rules and follows no theme other than the aspect of creation that remains the trademark of the Esque brand. Enter the Winter 2018 Line. Our Aerie Bowls, the perfect kitchen accessory for the holidays, nest with tilted lips and soft fades of fresh hues that are visually stunning alone or in a group. A new play on our signature Waterdrop Jugs though the use of opaque colors. 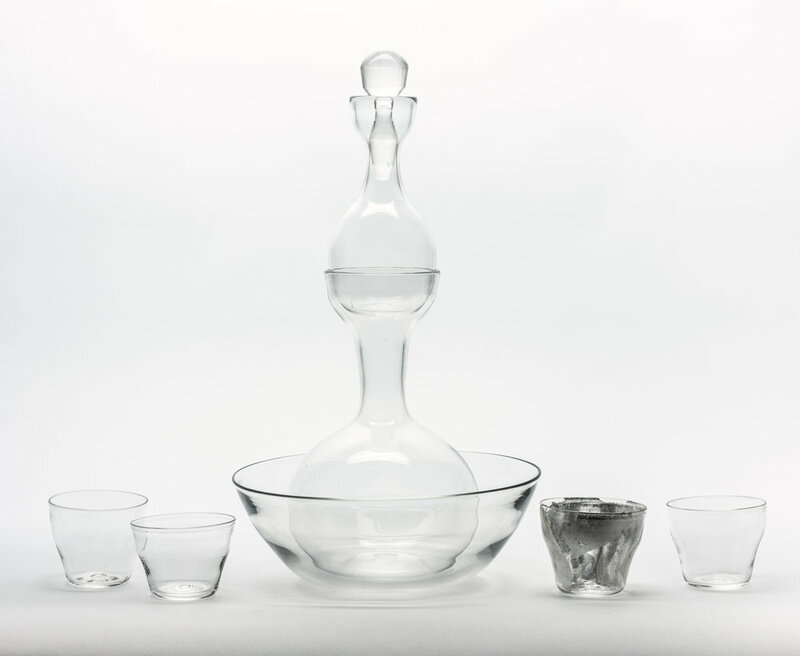 Decanters unlike anything you have seen before with our Alchemist Decanter set. This line takes on a new approach and is a passionate play on heritage and materiality through color and use. Elegance, focus on detail, mastery of technique, with a punk-luxury lens in the approach; breaking rules and making rules. Winter 2018-Esque is an overture of objects from accessible to exclusive to suit a variety of styles and functions. Through the process of no process we present you our Winter 2018-Esque - ENJOY!